If you want to start using plant-based products, but are not sure where to get started, start with the Thieves Household Cleaner. It is versatile, effective, affordable, and you can clean your entire house with it! Thieves Household Cleaner uses naturally derived, plant-based ingredients and essential oils like Lemon and Thieves to give you a safer way to clean your home. This all-purpose cleaner can clean just about anything and will be your go-to cleaner of choice. Use it on your counter tops, floors, furniture, windows, walls, in your oven, around the toilet, and on almost any surface that needs cleaning. Wherever you use it, you’ll feel good knowing it’s safe to use around everyone in your family, including pets. Thieves Cleaner is formulated without the harsh or dangerous chemicals found in many traditional cleaning products; it is made with a vegan-friendly, plant-based formula. We love that this product is so versatile. You can literally clean everything with this one product. We are excited to announce the BRAND NEW PREMIUM STARTER KIT. Yes, A NEW and IMPROVED PSK! What makes it NEW? (We’re glad you asked). -Underneath there is now a Hand Purifier with the Ningxia Packets, Thieves Cleaner Sample and Stress Away. Also underneath the tray of oils you’ll find two roller fitments and the P&C. No more “love it-share it” cards, gone. Do you know what that means? There are now TWELVE essential oils in the kit, previously unheard of, truly amazing. With the new design of the kit, extras and adding the Valor and Peace & Calming to it, that’s an increased value of $90! That’s $90 more in value making the kit well over $400 in value. But here’s the good news, with all of that extra value, the kit itself is only being increased in cost by $5, that’s right, an entire $5. All of the above for $165, great value. The New PSK is currently only available in the USA. As of now, there are NO limits and this is for EXISTING and NEW Members! That means every single one of you reading this can get this new kit RIGHT NOW. Log in and place your quick order! Don’t risk not getting your hands on one of these new improved kits. This essential oil arrived with our order yesterday. It is one of Young Living’s newer oils, released just a few short months ago. The plant grows on the coats of Australia and Tasmania and the oil is actually harvested from the leaves and green branchlets of the plant. We will be diffusing it over the coming days and weeks, and as you can see from the attached information card, it has many different uses. This chart will give you an idea of how serious Young Living is when it comes to providing high quality essential oils, they’re simply the best! One of our favorite “non-oil” products from Young Living is the Super-C supplement. We have them in the house and take them with us on road trips in case we have no access to a regular source of vitamin C, such as fresh fruit. We also use them as a “top up” if we are feeling under the weather, nothing like an extra burst of vitamin C to act as a “pick me up”. Some people only think of maintaining vitamin C during the winter months, but for us it is definitely a 365 days a year thing. Vitamin-C Supplement? We’ve Got You Covered! 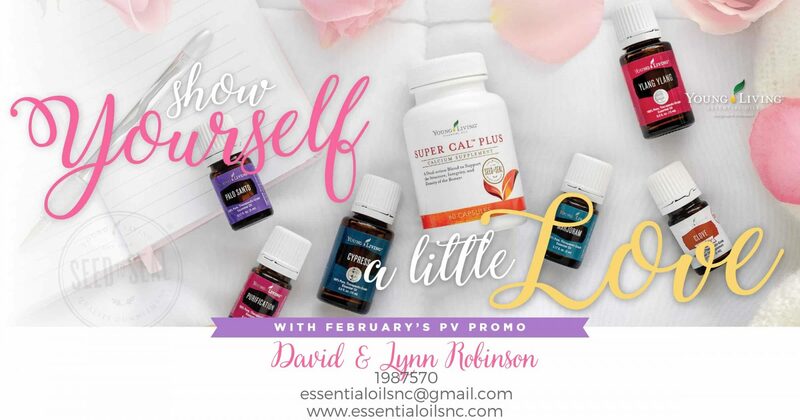 As many of you already know, Young Living essential oils is very generous when it comes to freebies. We’ve posted before about our “points” system, and how it works. Scroll back through this blog to see “how it works,” we don’t want to be re-hashing stuff too often. The September 2017 items are shown below. Well of course you can! But essential oils are not regulated which means companies can put any filler or additive into what they call an “essential oil”. A lot of what you might find at the grocery store is either another ingredient altogether or has toxic fillers in it. When you are using essential oils on your body for any reason , it could be dangerous to use these types of oils and might actually do more harm than good. You might have reactions to these types of oils and might make conditions worse. No fillers are ever added to Young Living’s oils and no toxins are present. In fact, they don’t even use pesticides or herbicides on their crops or soil so that toxins won’t be present. Anything that comes from a farm outside of Young Living’s farms must meet the same strict standards. You can see YL’s seed to seal promise on their website. “Seed to Seal” is not just a slogan, it’s a way of life. CAN I JUST BUY MY ESSENTIAL OILS AT THE GROCERY STORE?